Marijuana has been a topic of discussion and debate for many years. While medical marijuana is accepted here in California, debate continues over how to control medical usage, whether to permit recreational use, and how to resolve conflicts between state and federal law. There is one question, however, that our San Francisco injury lawyer feels has not gotten nearly enough attention – the impact of marijuana use on driving ability. Over the weekend, KPIX took a look at this important issue. Three drivers with varying histories of marijuana usage were put through a testing course in Washington state. On the first round, despite having an unclear amount of marijuana in their systems, all three drove acceptably. However, after smoking again, the report notes that fact that all three were high “really started to show” and one driver almost hit the photographer. 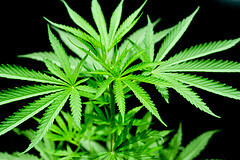 An inter net search on the topic of marijuana and driving produces a wide-range of results. There are groups like Norml suggest marijuana does not play a significant role in motor vehicle accidents. In contrast, a Medscape article from earlier this year warns that “[i]n a driving situation, cannabinoids can affect reaction time, vision, and attention” and reports “that simulated and on-road studies have shown effects on perceptual processes, maintaining speed, response to stimuli, and estimation of time and distance. As KPIX notes in the article linked above, while Washington state has a legal limit for marijuana, California does not and users know this. One criminal defense attorney told the reporter that he’s won all the cases he’s handled involving marijuana DUI charges. Part of the issue is that it is difficult to pinpoint the blood level at which someone becomes impaired since that varies from person to person. Still, groups like Mothers Against Drunk Driving note that people are dying because of stoned drivers and they are pushing to keep people off the road when under the influence of the drug. What does this mean for someone in Northern California who was injured by a driver who was high at the time of the accident? It is important to remember that there is a distinct separation between civil and criminal law. The fact that it may be difficult to charge someone with a criminal offense for driving while high does not mean that there is no civil liability. Intoxication, whether it involves alcohol or drugs, can be a major piece of evidence that helps establish liability in a civil trial. This means that the injured victim and/or his family may be able to recover compensation from a driver who caused an accident while high on marijuana. As in all civil accident cases, the facts matter. Each case is unique and simply because a driver is not convicted of a criminal charge does not mean the driver is not financially liable. Most car accident cases turn on the question of negligence and impairment of any sort is an important factor pointing towards potential civil liability. If you or someone you love was hurt in a motor vehicle accident in Northern California and you believe marijuana impairment was a factor, you should obtain legal guidance as soon as possible. Our San Francisco impaired driving injury lawyer offers a free consultation and welcomes your call. Our team also urges all drivers to avoid driving while under the influence of any form of drugs or alcohol. Accidents due to intoxicated driving are 100% preventable. Why take an unnecessary risk when the consequences can be deadly?